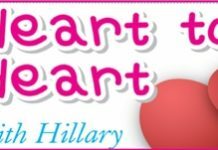 Home Blogs Heart to Heart with Hillary Will you take me round the bars one night? Will you take me round the bars one night? Will you take me round the bars one night? I need to know how to handle myself in these places. I’m too shy on my own. No. You will find there is plenty of female company so you don’t have to handle yourself, nor get Hillary to hold your hand.